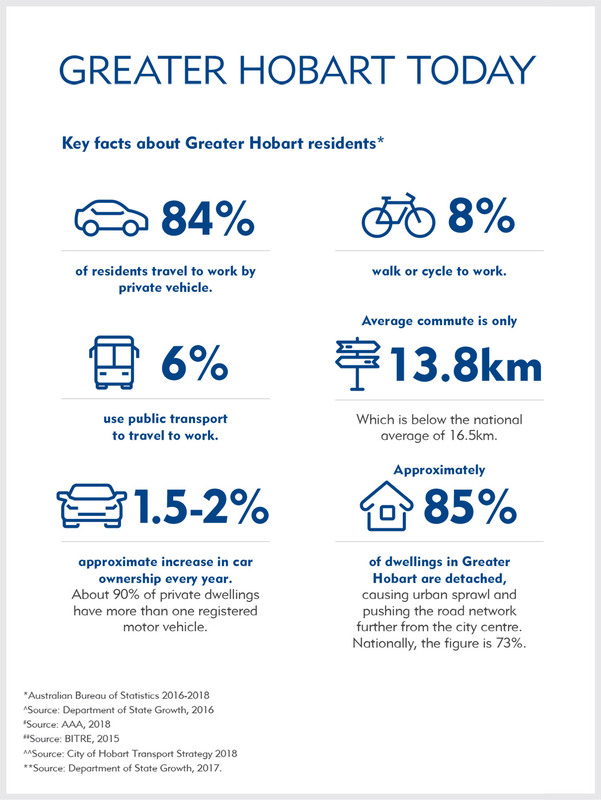 The vast majority of Greater Hobart residents rely on a motor vehicle for transport – almost 90%* of households have one or more registered vehicles. In addition, 84%* of residents drive to work and more than 50%^ of all employment occurs within the Hobart CBD. With a rapidly growing population – currently about 230,000 but predicted by the Australian Bureau of Statistics (ABS) to reach 300,000 by 2050 – congestion has become a major issue for our residents. 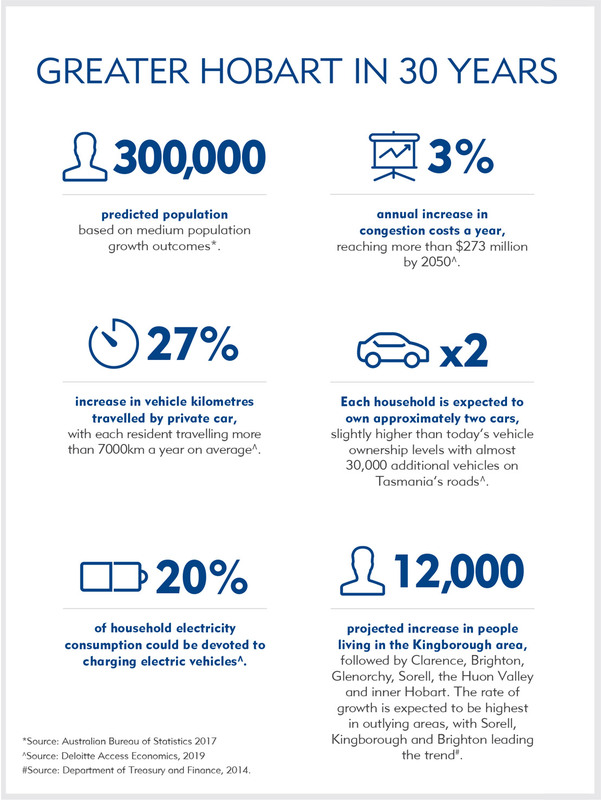 This is evidenced by a recent Australian Automobile Association (AAA) survey that listed Hobart as the fourth most congested city in Australia behind Sydney, Melbourne and Adelaide.